Description: Natural white background. A javelin thrower wearing a blue shirt with the Finnish flag in the chest. 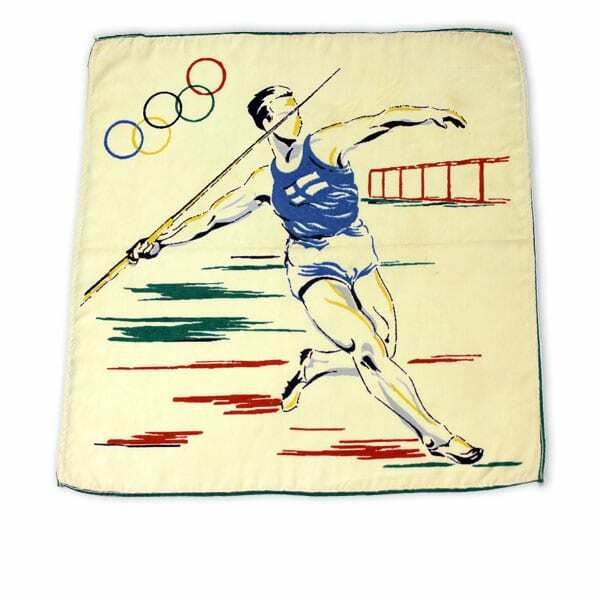 Other information: The production series included similar table cloths depicting a female gymnast, sailing yachts, a football player and a diver.